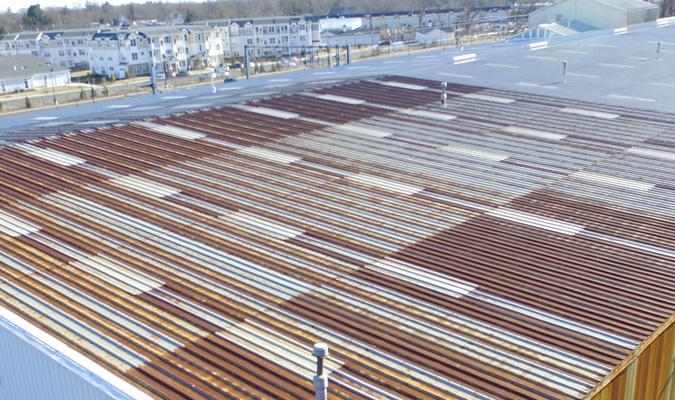 Failure of commercial and industrial roofing is all too often due to the owner’s or management’s failure to institute a good preventative maintenance plan. A solid, routine maintenance plan will increase your commercial roof’s lifespan, help to avoid surprising roof problems and, in return, help your company’s profits. The first thing you should do is find and experienced, professional commercial roofing contractor you trust to complete your inspections. 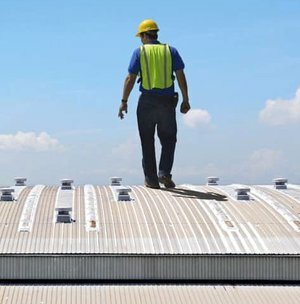 There is unique equipment and certain steps that need to be taken by your roofing contractor to ensure that your roof inspection is completed properly. The seasons in Texas will cause lots of unwanted debris and weight to be deposited onto your roof. Depending on where you’re located, it could be snow in the winter, lots of leaves in the fall, water and hail from a summer storm or branches off trees in a wind storm. Dirt and grime will also build up. That and things like the aforementioned heavy snow and wet leaves or branches, will deteriorate your roof and shorten its lifespan. Call a professional for any snow and excessive leaf or branch removal and for any type of roof cleaning to make sure its removed efficiently and safely. Don’t Put Off Repairs. If you suspect or find leaks or damage, don’t wait to have them remedied. With any kind of roofing, the longer you wait to get it repaired, the worse it will get and turn into a much more expensive proposition as time goes by. It matters not if it was found by you or a professional commercial roofing company, make arrangements to have the professional remedy the situation as quickly as possible. Prior to the winter months and the storm season, this step is critically important. If you’re in an area with ice and snow in the winter, you should take steps to winterize it to keep ice dams in your drainage system and snow buildup from occurring. The dynamic of freezing and then thawing can negatively impact your commercial roof, so you need to make sure your roof will hold up against this variation in weather. If this is done correctly and properly through regularly scheduled maintenance and preparation, your roof can last for decades. Maintain Complete, Detailed Records. Management and ownership will change as time goes by. When this inevitably happens, building maintenance and their corresponding records can be misplaced. To avoid this, you should keep detailed historical records of the maintenance and work done, storing it in a safe place where it can be readily accessed. These records should include the roof’s original blueprints or plans, any existing warranty information, records of any repairs and an accounting of any equipment added to your roof. The main rule is to always be proactive when planning and taking on maintenance and repair issues with your commercial roof. Always keep in mind this famous saying when it comes to your roof – “the best defense is a good offense”. 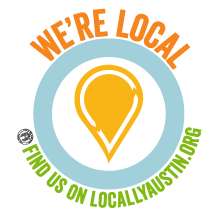 Armadillo Roofing & Exteriors, (512) 333-7663, provides commercial services to Austin, Texas and the surrounding area. This includes commercial roof repair, commercial roof installation and commercial roof replacement. We have been providing professional commercial roofing services to the area for over 15 years. When you need advice about the proper maintenance and repair of your commercial roofing system, give us a call.